The Patriots pulled off a shocking trade before the deadline for roster cuts when they traded Jacoby Brissett to the Colts for Phillip Dorsett. Saturday will bring in a lot of shocking moves around the NFL, but it may be tough to beat one of the bigger head-scratching deals of the day like the New England Patriots pulled off with Jacoby Brissett. The Patriots quarterback, who had a strong showing in the preseason and even saw some time starting for the team during Tom Brady’s suspension and Jimmy Garoppolo’s injury early in 2016, was dealt to the Indianapolis Colts on Saturday for wide receiver Phillip Dorsett, according to ESPN’s Field Yates. The trade likely got some steam going after Brissett’s impressive performance in the preseason finale against the New York Giants, and the Colts are in need of some help at quarterback at the moment with Andrew Luck’s status in question. The move leaves the Patriots with Brady and Garoppolo at quarterback for the time being, with Garoppolo in the last year of his deal with the team and potentially in the running for some big money in the offseason once this year wraps up. Meanwhile, Dorsett helps to fill the void that’s evident with the season-ending injury to Julian Edelman in the Patriots wide receiving corps. Dorsett caught 33 passes for 528 yards and two touchdowns last year for the Colts and will provide some help in the punt returning game, as well. 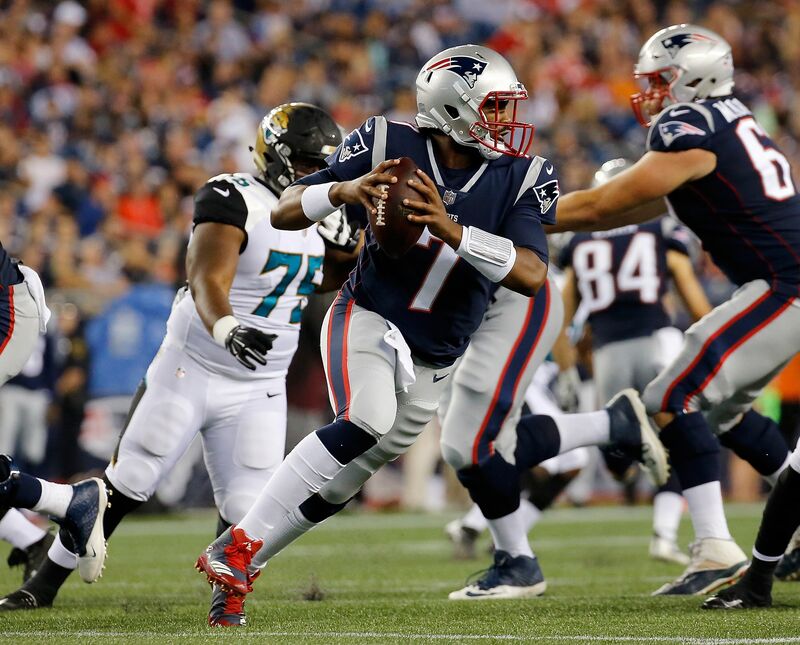 Brissett could see some starting time rather quickly for the Colts, depending on Luck’s situation and how quickly the former Patriots quarterback can adjust to the system in Indianapolis with the regular season opener rapidly approaching. The move seems to be a win for both sides, but depending on how well Brissett adapts, it could be a rare bad deal for New England in the end.